This tab is used for adding and removing pages from your Profiles, these are pages that are promoted rather than target pages. When you have entered your page file you will get a pop-up that will show you the full ist of pages you are attempting to import along with your anchor texts (if entered) so that you can check to see if everything was setup as you would expect before accepting it. By default all pages for a profile use the anchor texts set in the profile, however in most situations it would be more beneficial to have these inner pages promoted with their own set of anchor texts to ensure you are getting the most relevancy in your backlinks as possible. Luckily this is very easy to do in NHSEO; to give a page its own anchor texts simply enter in the anchor text in the text input labelled "Anchor Text" and then select the page you wish to apply this anchor text to and then click on the "Attach" button. 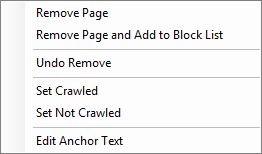 The clear button will remove the anchor text from a selected page(s). 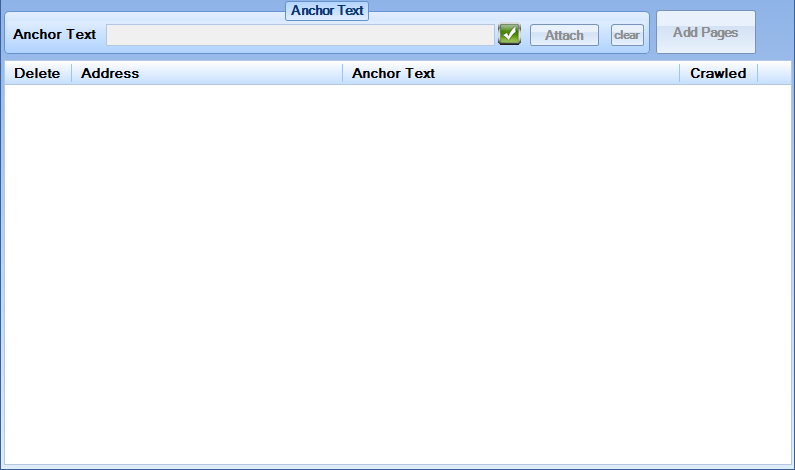 The anchor text controls can be used on a single selected page or on many selected pages at once. As always it is strongly advised that you use lots of variation by making full use of spinning text. Edit Anchor Text - This will pull the anchor text from the selected page and add it to the anchor text input, this allows you to add the anchor text to other pages or to edit the anchor text of the page you have selected. The profile must be saved in the Profile Handlers' Profile Details tab to apply any changes made to this tab.